Yeah, I know what you are thinking. "Aren't those the biscuits from Red Lobster?" Haha, well no they are not. 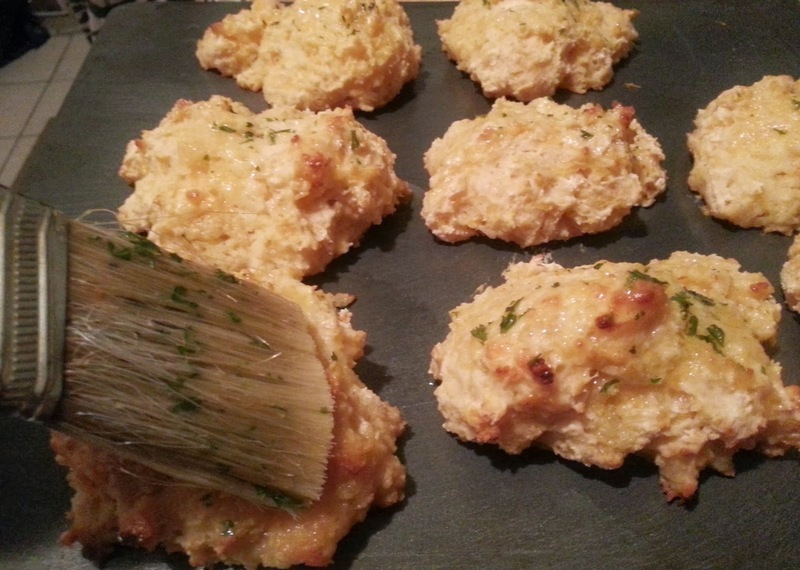 These are my Red Lobster imitation biscuits that I have made right at home with a little help from my girlfriend, Shanelle, giving me the recipe. 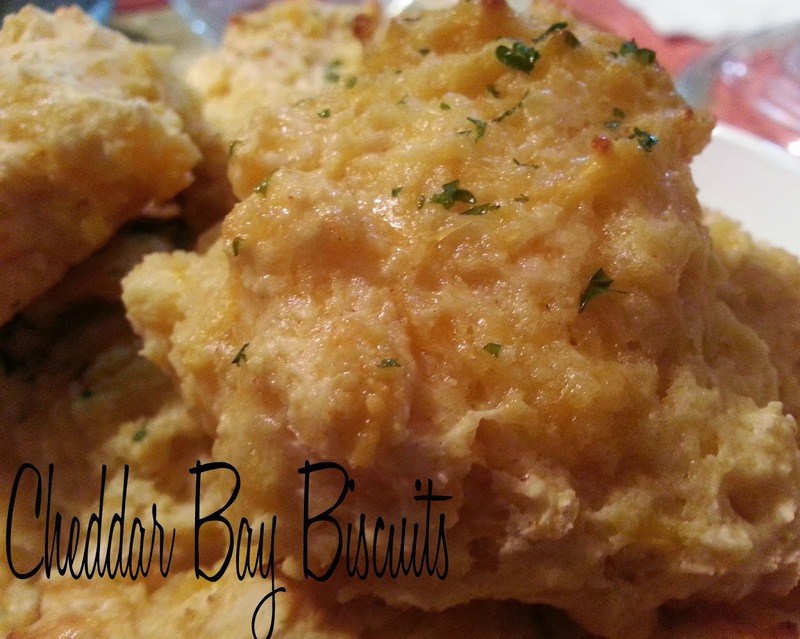 They taste almost identical, if not better, than the world famous "Cheddar Bay Biscuits" from Red Lobster. 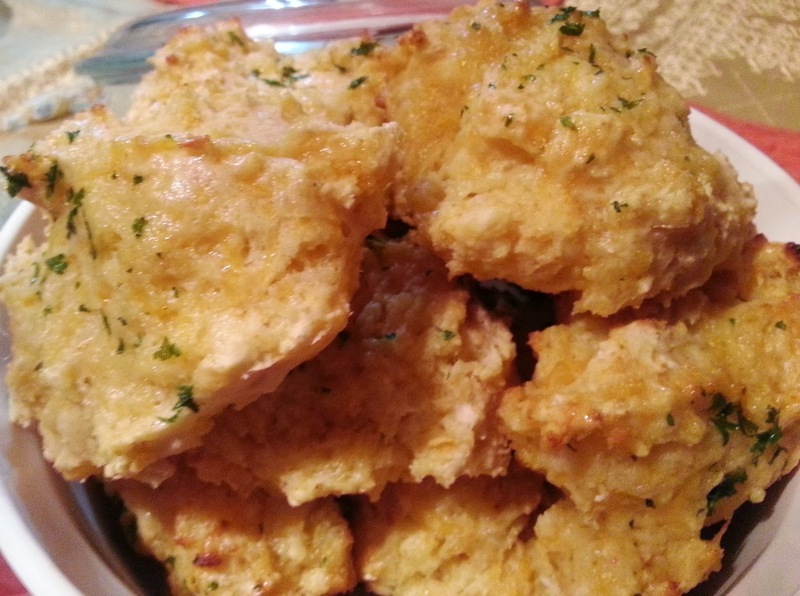 They are so easy to make and such a fun thing to do when you need a quick appetizer or side dish for your guests or yourself. Preheat oven to 475° Fahrenheit. Combine all the dry ingredients into a bowl. Then, add the grated cheese and mix. Next, cut in the butter. I chose to grate my butter in order to make the process of cutting it in easier. (As seen above in the middle picture.) Just mix until slightly crumbly. Do not overmix! Add the buttermilk and mix it in just enough to combine. Once again, do not overmix. 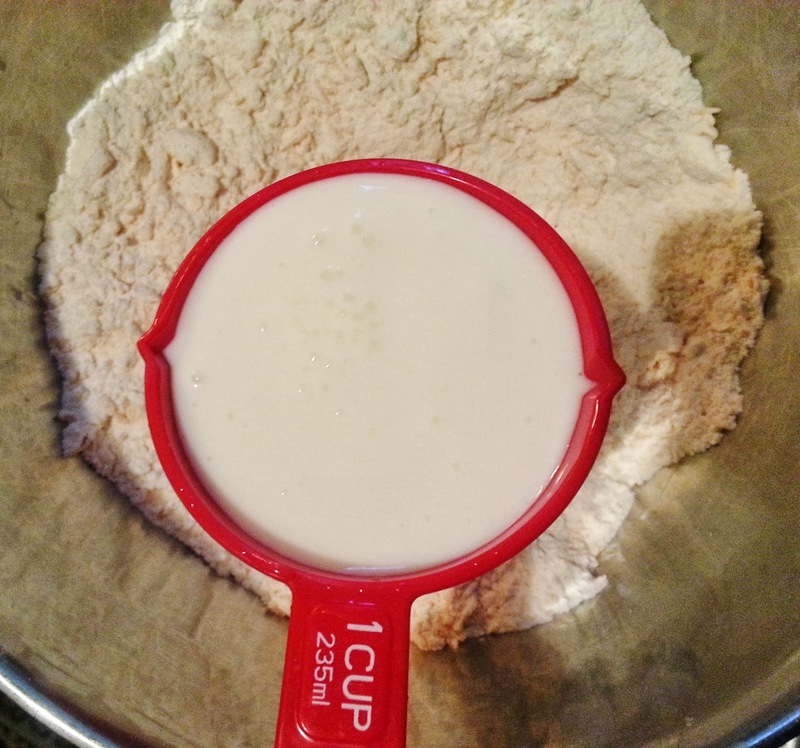 Spoon the dough, onto a prepared baking sheet in at least 1/4 C volumes. You may grease the pan with butter or even use parchment paper. I chose to use butter for no specific reason. Place on the top rack of the oven and bake until golden brown for about 10-12 minutes. 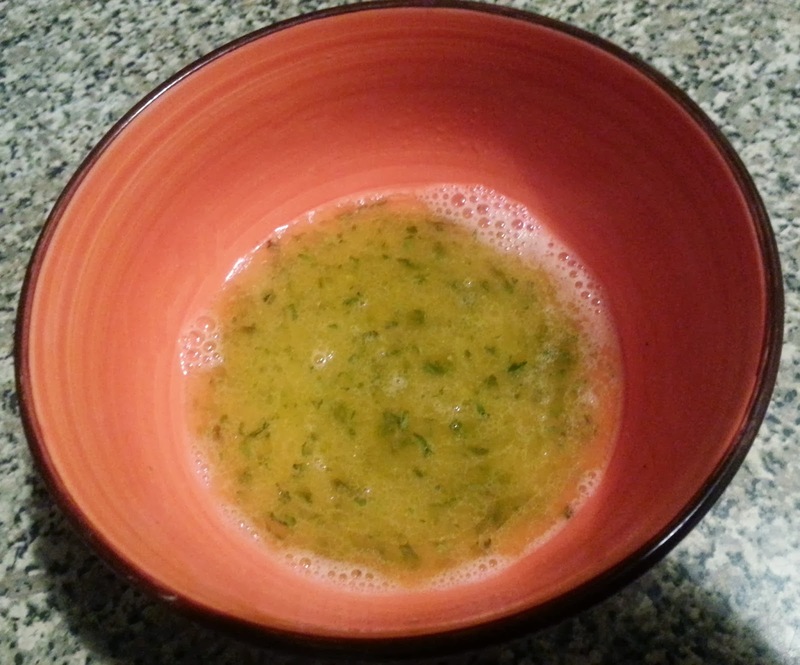 While baking, melt the butter and season it with a dash of garlic powder and dried parsley flakes. 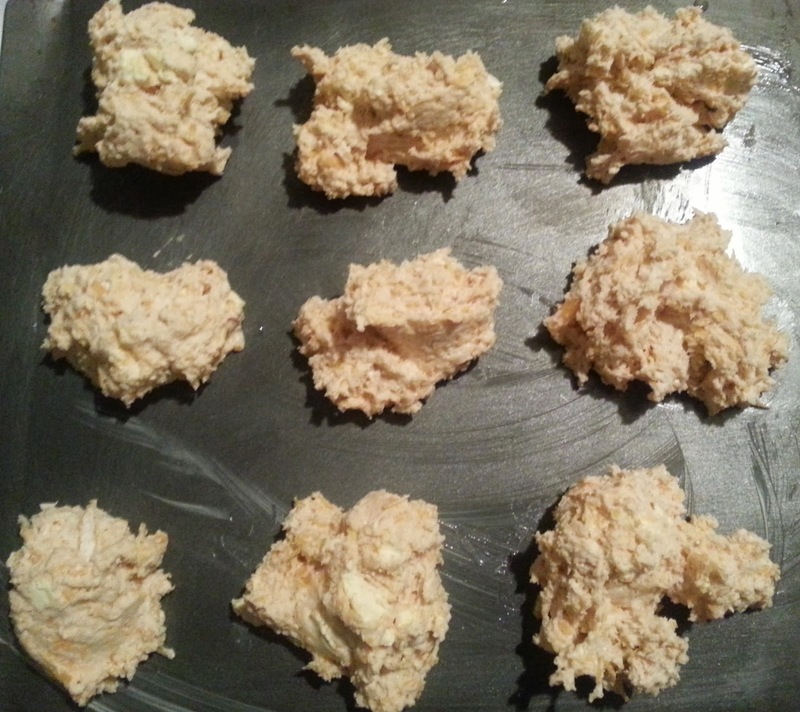 Brush the butter mix you made over the biscuits as soon as they come out of the oven. Then, TADA! Your biscuits are finished! Enjoy! 1. Preheat oven to 475° Fahrenheit. 2. Combine all the dry ingredients into a bowl. 3. Then, add the grated cheese and mix. Next, cut in the butter. I chose to grate my butter in order to make the process of cutting it in easier. Just mix until slightly crumbly. Do not overmix! 4. Add the buttermilk and mix it in just enough to combine. Once again, do not overmix. 5. Spoon the dough, onto a prepared baking sheet in at least 1/4 C volumes. You may grease the pan with butter or even use parchment paper. I chose to use butter for no specific reason. 6. Place on the top rack of the oven and bake until golden brown for about 10-12 minutes. 7. While baking, melt the butter and season it with a dash of garlic powder and dried parsley flakes. 8. 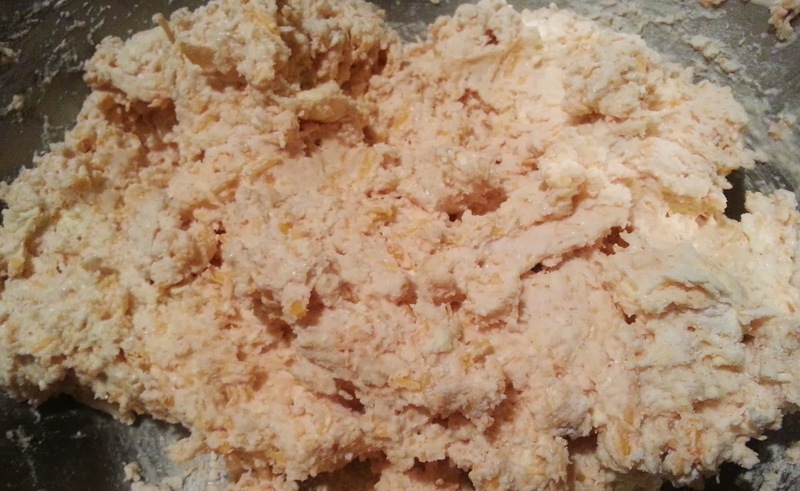 Brush the butter mix you made over the biscuits as soon as they come out of the oven. 9. Your biscuits are finished! Enjoy!